Literacy initiatives have emerged in various disciplines, largely over concerns that children and young adults lack conceptual knowledge and skills needed to successfully function as adults in an increasingly complex world. Literacy initiatives are especially prevalent in STEM (Science, Technology, Engineering, and Math) disciplines where programs such as Educate to Innovate (2014), STEM Education Coalition (2014), Howard Hughes Medical Institute initiatives (2014), and Vision and Change in Undergraduate Biology Education (Brewer and Smith 2011) have outlined strategies for improving teaching and learning for K-12 and undergraduate students. Concerns over lack of public understanding of critical energy-related issues – such as the types and locations of resources, limitations of different forms of energy, mismatches between supply and demand, and the environmental impacts of our reliance on fossil fuels – have caused some to think about levels of energy literacy, especially in the United States (Barrow and Morrisey 1987, Zografakis et al. 2008, Mulligan 2010, Dwyer 2011, Demeo et al. 2013). To address those concerns, the Department of Energy recently developed an Energy Literacy curricular framework (DOE 2012) that provides detailed guidelines for improving energy education from elementary school through adulthood. Their parallel effort, Energy 101 (DOE 2013), addresses energy education in the undergraduate curriculum by developing a framework of five principles that can be packaged into a freshman-level course at most universities or community colleges. For the past twenty-five years, ecologists have examined literacy in their discipline (e.g., Risser 1986, Klemow 1991, Orr 1992, Berkowitz et al. 2005, Jordan et al. 2009, Powers 2010, McBride et al. 2013). Some approaches (e.g., Klemow 1991) emphasize “basic” concepts such as physiological determinants of species distributions, mechanisms of population growth and decline, movement of energy and materials through ecosystems, and patterns of biome distribution at the global level. Others (e.g., Orr 1992, McBride et al. 2013) more explicitly incorporate human dimensions, such as effects of pollution, sustainability, and environmental justice. The Ecological Society of America (ESA) has done much to sponsor activities to improve ecological literacy for K-12, undergraduate, and adult audiences. Examples include numerous publications, sessions at national meetings, and hosting a digital library of educational resources, EcoEd DL (http://ecoed.esa.org/). Ecologists have long emphasized sustainability in their education and research (e.g., Lubchenko et al 1991, Palmer et al. 2004, Sayre et al. 2013). Along the way, a community of ecology educators has emerged, informing each other – and ecology educators at large – about innovations in ecology education. There can be little doubt that efforts to develop, distribute, and utilize various sources of energy have strong ecological dimensions. But energy literacy initiatives appear to have developed largely independently of those relating to ecology literacy. We believe that linking ecology and energy literacy efforts is an essential step to ensuring that we produce scientifically literate citizens who are able to make informed choices about energy. Whether through considerations affecting place, understanding the ecosystem impacts of energy choices, or by determining which policies are adopted, the integration of both ecological and energy literacies is important in achieving education for sustainability. Conversely, energy is an emerging issue that deserves more attention in efforts to improve literacy in ecology, and other STEM disciplines. Further, the production and use of energy is a rich systems problem with great societal relevance and, as such, is an excellent entre into building public understanding of systems and system thinking. Thus, connected approaches between ecology and energy would enhance literacy in multiple ways. In mid-August 2014, three complementary sessions at the annual ESA conference in Sacramento, California explored the interface between ecology, energy, and education. Through the strong response to our call for presenters for these sessions, we discovered a wide diversity of creative programs that are using ecology in energy education in many different settings, including nonformal means (camps and scout groups), formal (integrating electronic media tools), and blended (ecology postdoctoral associates partnering with classroom teachers at a research station), and informal approaches used by government agencies. We asked invited experts from these diverse fields to examine issues and provide their perspectives as to how to improve public literacy in ecology and energy. Presentations represented all age-levels and forms of education, the geophysical sciences, public policy experts, government agencies, ecologists and sociology, faith-based and environmental non-profits. In a symposium, six speakers representing academia, non-profit organizations, state and federal government, and faith-based / justice organizations provided complementary overviews and a discussion with the audience, focused on a broad range of issues related to energy, ecology and sustainability. In an Organized Oral session, eight educators discussed innovative approaches in which they use ecological concepts to teach students from Kindergarten through college about aspect of energy education. In a subsequent workshop session, these speakers gave hands-on demonstrations of their innovations to attendees in a “Share-Fair” approach. In all three sessions, we sought ways to feature efforts underway to improve overall literacies for Sustainability by focusing on the interface of ecology and energy; to feature current programmatic and curricular initiatives; to determine where improvements are needed; to identify the opportunities for engagement of scientists and educators in energy education using ecology, and other future directions. A number of overarching themes emerged from our sessions at the ESA meeting, and we seek to convey and synthesize those themes in this paper. As we considered various organizational strategies, we settled on subdividing according to education level: specifically, K-12 and undergraduate. Within these we also included elements related to adults and outreach. The Next Generation Science Standards, published in 2013, define new goals and strategies for K-12 science education that differ from current common practice substantially and provide opportunities for considerable expansion of energy education. In this section, we describe several creative initiatives that effectively link energy and ecology. These programs use research-validated pedagogy to engage students in a variety of ways, in hands-on investigations, in both formal and informal educational settings, and in ways that are relevant to students’ own lives. These particular programs were predominantly funded by major National Science Foundation (NSF) or Department of Energy (DOE) grants, and illustrate the importance and impact of current energy education approaches. Energy education in a larger context. As discussed in a presentation authored by Joshua Sneideman of the United States Department of Energy (DOE) (Sneideman 2014), the DOE has launched an energy literacy initiative in support of public education about a long-term goal for a sustainable energy system (DOE 2012). The centerpiece of their initiative is a curricular framework that lists essential principles related to interconnections in the Earth system, to human energy transport and use, and the complex way in which energy decisions are made are all critical to energy education at the K-12 level. Significantly, their program stresses an interdisciplinary approach to energy literacy, including an understanding of civics, history, economics, sociology, psychology, and politics in addition to natural science, engineering, and technology. In addition to disseminating the essential principles, the DOE provides teaching materials for K-12 classrooms, teacher professional development programs, guides for students and teachers to “green your school,” and extensive information about careers. Energy is represented in Energy and matter: Flows, cycles, and conservation, one of the seven cross-cutting concepts in the Next Generation Science Standards (NGSS) that bridges disciplinary boundaries by “uniting core ideas throughout science and engineering” (Appendix G, page 1). In conjunction with “Engineering, Technology, and the Applications of Science,” placed on equal footing as a discipline with the life, physical, and Earth and space sciences, the standards create a clear opportunity for educators to address energy education and support student achievement, while working within the constraints of time budgets. Most if not all of the presenters in our organized oral session had used the standards to underpin the design of their educational programs. Even those programs that were designed for informal settings took account of the standards, thus increasing the complementarity of informal energy/ecology education with formal school curricula. Most speakers invoked ecological topics such as systems, study of place, or energy flow in their sessions, providing these as a rationale for engaging students in the need to understand energy issues. Don Duggan-Haas of the Paleontological Research Institute of Ithaca, NY (Duggan-Haas 2014) described a program that uses the context of Earth systems to address issues related to the Marcellus shale. Audiences – adults, teachers, students – first come to understand the biggest sources of electricity in their state, then address the extraction of natural gas from shale through hydraulic fracturing (fracking) in comparison with other sources of energy. Is fracking better, worse or different than nuclear, or coal, or solar energy? How does the energy output of natural gas produced by fracking compare with that provided by other energy sources? How do their environmental impacts compare? By grappling with these questions, learners begin to think about earth systems, and discover that environmental impacts differ in fundamentally different ways. The program includes teaching materials, teacher professional development workshops as well as community outreach and public education efforts. Christopher Midden of Unity Point School in Carbondale, Ill (Midden 2014) described an initiative at Southern Illinois University that supports a team of teachers to create models as flash-based animations or “games.” The animations are based on a modeling approach to teaching that unites analytical skills with application (Lesh and Doerr 2003). That approach yields greater learning outcomes among struggling students who benefit from learning and using math in a real-world problem-solving context. Further, they argue that learning about systems concepts is critical and can best be taught using a models and modeling approach. The Flash-based models, related to Carbon, Nitrogen, Energy, Water, and Watersheds, present students with an interactive feedback system that is game-like. The games include some common features: Students make decisions about resource use or land management, and consider the trade-offs involved. All are based on real-world data. The simulations are designed to be used in classrooms for a 5-day lesson cycle; games, accompanying lesson plans, and teacher support materials will be available in 2016. Bruce Johnson of the University of Arizona (Johnson 2014) discussed how major ecological concepts, e.g., cycling of energy and materials, change over time, systems interrelationships, and how humans are tied to them are incorporated in a project that engages middle school students in discovering the hidden ways they use energy in their daily lives. The program, Sunship II, consists of a three-day residential camp and follow-on activities related to energy conservation over the course of five months. Students use “solarians,” a currency consisting of units of sun energy embodied by fossil fuels, to pay for their energy use, and discover the energy cost and hidden energy subsidies of everyday choices such as eating pizza. They inventory their energy use, make decisions about saving energy, and begin to think about consuming less. After the workshop, they embark on a Quest to interview people – as role models – who have made the commitment to change their energy habits. Danielle Fegan and Jakob Nalley of Michigan State University (Fegan et al 2014), discussed the BioEnergy Sustainability initiative (http://kbsgk12project.kbs.msu.edu/), which engages graduate students to work with teachers in a professional development program focused on exploring Bioenergy and sustainability using experimental schoolyard plots. Graduate students spend 15 hours each week in schools, developing lessons with a designated teacher partner focused on ecological factors that influence primary productivity. The project also brings the teachers to the Kellogg Biological Station for a weeklong summer workshop, where teachers learn field protocols in long-term plots at the station. The project has developed a library of standards-based drop-in lessons for high school with accompanying assessments and teacher supports. Gillian Puttick of TERC (Puttick 2014, and see Puttick et al. 2015 elsewhere in this special issue) described how climate change provided the context for a program on energy conservation, designed for Girl Scouts 8 to 13 years old (girlscoutseasternmass.org/gecco/). Baseline research showed that girls did not understand the connection between their own energy use, the generation of greenhouse gases, and global warming. Program elements such as engaging card games teach girls about this connection. Girls also explore imbalances among stocks and flows of carbon in the carbon cycle, and carbon sequestration by trees. Positive changes in knowledge, behavior, and attitudes suggest that a carefully designed program can address the challenges of educating children about energy conservation and climate change at elementary and middle school levels, even if participant exposure to the program is brief. Many speakers emphasized the need to place energy education in a broader social and behavioral context, while including a focus on ecological principles. The approach in the Marcellus shale program (Duggan-Haas 2014) is to “complexify” the seemingly simple, that is, to respect the capacity of audiences to understand the complexities surrounding the issues. For example, audiences engage with social implications related to the siting of fracking operations. Johnson (2014) engages middle school students in thinking and talking about their emotional connections to caring about the earth and its life, and this is used to motivate their consideration of personal lifestyles and energy choices. Puttick (2014) integrates “caring for Earth” as an explicit component of the Girl Scout program. Further, the program draws on three bodies of research literature. These stress i) action so as to counter fear and denial (American Psychological Association 2010, ii) a focus on the reciprocal relationships between humans and nature to encourage conservation of the natural world (Saunders & Myers 2003), and iii) theories of behavior change (Adjzen 1991, Prochaska et al. 1997). Research shows that the program significantly impacted girls’ and troop leaders’ knowledge of the connection between energy use and climate change, significantly increased energy conservation, and changed attitudes about their power to make a difference. 1. Providing evidence is not enough; people need to engage with complexity. Debate can be productive but only for the sake of learning. Start with local issues, local place, and issues connected to students’ everyday lives. There is also a need to consider scale; scale is difficult for students to understand. Students can learn about complex issues in a well-designed program, even with short exposure. Career options that include a focus on energy, ecology and sustainability, which will ultimately help inform public policy choices, are an important component of K-12 energy education. Initiatives have connected students to adult role models and career options as, for example, in the Sunship II and Bioenergy sustainability projects. Five themes relating to the interrelationship between ecology and energy in undergraduate education emerged from the presenters and the organizations that they represent. Those five are summarized below. Energy is inextricably linked to life and to ecological interactions. Energy is a crucial part of biological systems. To remain alive, individual organisms must procure energy from their surroundings and transform it into forms that allow us to carry out homeostasis, grow, and reproduce. Research conducted in the 1940s and 1950s established that that a major part of ecosystem dynamics involves the conversion of radiant energy into chemical bond energy by plants and other producers, and the flow of energy from producers to consumers and decomposers (Lindeman 1940, Odum 1957). Indeed, energy is a primary currency by which ecosystem productivity and arguably the value of ecosystem services are measured (Odum & Odum 2000). The Department of Energy’s Energy Literacy Framework (DOE 2012), discussed in the presentation authored by Sneideman, explicitly recognizes the role of energy in biological systems. According to Essential Principle #3 “Biological processes depend on energy flow through the earth’s system.” Embedded within that principle are the concepts of unidirectional flow of energy from one trophic level to the next, and the losses that occur through each transformation (DOE 2012). Those concepts are integral to the DOE’s Energy 101 framework focused on undergraduates. Unit 1 “Introduction to Energy” incorporates those same concepts as one of three essential literacy principles (DOE 2013). Most speakers invoked the concept of climate change and the need to rely more heavily on sustainable, non-carbon-based energy to power our lives. So, not surprisingly, this perspective weighed heavily in several presentations pertaining to undergraduate education. Dustin Mulvaney of San Jose State (Mulvaney 2014) couched his presentation in the assumption that we will be transitioning to different fuels that are more sustainable. As noted below, he introduces various calculators to his students that estimate carbon footprint and perform life-cycle assessments of the carbon intensity of different types of fuels. Duggan-Haas discussed the complexities of carbon emissions associated with unconventional natural gas production. While burning natural gas releases less carbon into the atmosphere than burning an equivalent amount of coal, leakage of methane (a much more powerful greenhouse gas than CO2) from wells and pipelines may cause natural gas to have a larger greenhouse footprint. Qinqin Liu of the California Natural Resources Agency’s Department of Water Resources (Liu 2014) provided a compelling argument that water and food production are linked to climate change, in a manner that is ecologically relevant. Warming reduces mountain snowpacks, decreasing water availability for agriculture and threatening fish species adapted to cold water. Energy is inextricably linked to water availability in California, as water conveyance, groundwater extraction, drinking water treatment, and wastewater treatment all require massive energy inputs. Conversely, certain forms of energy production such as hydraulic fracturing for shale gas and growing / processing biofuels require significant energy inputs – a point also emphasized by Robert Jackson of Stanford University (Jackson 2014) in his symposium presentation. Though Liu did not explicitly explain the relevance of her work to undergraduate education, the linkages that she addressed would make a great basis for lessons in a wide range of energy-related courses. Discussions of ecology and energy should be multidisciplinary, and involve non-STEM disciplines like sociology and policy. Several speakers emphasized the need for multidisciplinary approaches to inform energy-ecology education at the undergraduate level. Mulvaney spoke of the need to teach “inter-, trans-, & multidisciplinary problem-solving skills and socio-ecological synthesis across multiple scales and contexts.” In one assignment, he requires students to investigate sustainability and social justice as they relate to biofuel supply chains – conveying the concept that some biofuels are more sustainable and have lower social consequences than others. In others, he introduces students to theories of public participation, environmental governance and regulatory policy, and environmental justice. Duggan-Haas emphasized the links to geography, making a strong case that we should consider students’ sense of place when making decisions on energy production and utilization. The fuels used to generate electrical power very greatly from state to state (see http://www.eia.gov/state/). But like their adult counterparts, most undergraduates cannot successfully identify those fuels in their home state. Knowing the source of energy is essential to helping us make informed decisions about changes to the energy system. Moreover, each place has a unique combination of energy resources, economics, geology, and ecology that students should consider as part of energy decision-making. He also argued that sociopolitical issues should be incorporated into the process, and that ironically opinions tend to become more polarized with increasing information. Susanne Moser of Stanford (Moser 2014) emphasized the manner in which environmental concerns, economics, psychology and policy interacted to influence public perceptions on wind power development. Efforts that focus solely on environmental issues are not as effective as those that also incorporate visual and landscape concerns, socioeconomic issues, and procedures for inclusive decision-making. Several speakers, including Robert Jackson (Jackson 2014) noted that enhanced skills are needed by both the ecology professional and general public in order to effectively communicate knowledge. The continued development at colleges of interdisciplinary sustainability programs that incorporate these dimensions are integral. The ecological risks and lack of social acceptance of certain forms of non-carbon energy sources like wind and solar, were explored by several speakers. For example, Mulvaney discussed an assignment in which he requires students to immerse themselves in controversies relating to the siting of large-scale solar arrays and windfarms. Students discover a “social gap” in which many people are supportive of renewable energy projects, but not when they are planned within one’s locale. He explored the ecological consequences of efforts to site solar arrays in desert ecosystems, which often have higher plant and animal densities than most people realize. The solution is to find ways to allow energy development to proceed, but in ways that minimize impacts to the biota living there. Duggan-Haas noted that while high-volume hydraulic fracturing for shale gas is environmentally damaging, other forms of energy development have their own risks. He uses that complexity as a way to get students to think about asking richer questions, especially forcing comparisons between shale gas development and other types of energy like coal, nuclear, solar, or wind. For example, he noted that the 6.3 GW Bruce nuclear generating plant in Ontario produces the energy equivalent of 2.5 large gas-fired plants, 3,800 1.5 MW windmills, 10 coal-fired plants, or 68 mi2 of photovoltaic solar. As another example, he noted that, while hydropower is not a generator of greenhouse gases, it causes ecological damage to habitat within and alongside rivers that are lost when dams are created. Moser detailed the complex concerns raised by opponents to wind development. Efforts to address those concerns by the Department of Energy were initially successful, though a lack of coherent strategy between the agency’s main and field offices limited long-term success. While not directly related to undergraduate education, the experience represents an excellent potential case study for an undergraduate energy course. The ecological dimensions of energy development, transmission, and utilization provide pedagogic opportunities to instructors at the undergraduate level. Instructors have responded by creating lessons that actively get students to employ problem-solving, gaming, and critical-thinking approaches to understand the link between energy and ecology. Some of the approaches involve developing lessons that introduce students to existing online simulations and modeling packages. For example, both Mulvaney and Jeff Corbin of Union College (Corbin 2014) require students to evaluate different carbon footprint calculators, comparing the input and output information, and their relative effectiveness in helping users appreciate the impacts of their lifestyles on energy consumption and carbon emissions. Corbin’s approach involves having students utilize the calculators from Cool Climate Network (2014) and the Center for Sustainable Economy (2014) to estimate their own footprints. Reflective essays and surveys conducted at the beginning and end of the course indicated that students derived much insight from those calculators, especially the manner in which air travel, food consumption, and shopping contribute to their carbon footprints. Mulvaney also uses spreadsheets to facilitate calculation of Life-Cycle Assessments, especially with regard to comparing per mile carbon intensity of different types of vehicles and fuel combinations. Martha Groom of University of Washington (Groom 2014) employs the Stabilization Wedges Game (http://cmi.princeton.edu/wedges/game.php) to get her students to develop and evaluate strategies for reducing carbon emissions. Analyses of word clouds developed from essays indicate that students develop a more nuanced and enhanced understanding of the ways in which policies relating to oil and other forms of energy affect individuals and societies. Groom and Ken Klemow of Wilkes University (Klemow 2014) both require students to use web-based information relating to benefits and drawbacks of fossil fuels and alternative energy courses. Groom’s approach involves having her students identify web-based “factoids” relating to energy each week. Students must then determine the credibility of that factoid, and its relevance to information presented in the course. In contrast, Klemow uses a Webquest-based approach (http://webquest.org/) in which students are assembled into teams that examine issues relating to specific forms of energy. Students then evaluate a series of questions by reviewing links to websites that provide diverse perspectives on that form of energy. Students present their responses to the questions in team oral presentations that are graded against a rubric that is provided to the students at the start of the exercise. Resources developed at the Paleontological Research Institute enable students to better appreciate both geographic dimension of energy and to understand energy sources and their associated environmental impacts in the context of the broader energy system. For example, their Marcellus Gateway (http://bit.ly/MarcellusGateway) provides Google Earth images that can help students understand issues regarding hydrofracking. With the rise in awareness of the social justice dimensions and environmental impacts occurring closer to home, audiences of environmental, faith and environmental justice communities are increasingly engaging in energy policy decisions and would benefit from comprehensive and integrated educational approaches. Jablonski and Klemow (2014) found that issues are often time-sensitive and considered singly and in isolation. They emphasized the need for sound science in both the physical and life sciences areas, literacies to connect energy and ecology concepts. Courses in faith-based institutions (including schools and colleges/universities), social science and religious studies departments and civic engagement opportunities could include case-studies of interdisciplinary and trans-disciplinary issues and help prepare students to bridge between fields and to address the complexities with literacies in both ecology and energy. To our knowledge, the symposium and organized oral represented the first systematic attempt to link the developing fields of ecological and energy literacies. We believe that they were successful in starting a conversation – at least among ecologists – of the importance of including energy issues in ecological literacy. Educational initiatives at the college level revealed five themes relating to the interrelationship between ecology and energy in undergraduate education including: energy being inextricably linked to life and ecological interactions and climate change resulting from fossil fuels being a challenging and important teachable moment. Highlighted was the multidisciplinary nature of ecology and energy and need to involve non-STEM disciplines like sociology and policy. Solutions to energy challenges are not simple, with energy conservation and non-carbon alternatives having their own challenges. Finally, educators are addressing these challenges by creatively developing ways to help students understand complexities of the ecological implications of energy development and consumption. Overall, most of the education attention relating to energy centered on sustainability issues, and the focus on climate change caused by fossil fuel development. Less attention was devoted to the more direct impacts of energy development and transmission, such as habitat fragmentation by coal mining, gas well pads and pipelines, wind turbines, electrical transmission lines, and stream impacts from coal mine drainage and impoundments from dams use for hydropower development. To be sure, consideration of energy impacts on ecosystems can also be couched in terms of benefits – such as enhancement of habitat for grassland species resulting from power-line corridors or revegetated mine sites. Conversely, the role of ecology within energy literacy is also inescapable, and deserves much fuller consideration. Decisions regarding energy extraction and transport are often based on ecological considerations – as we were reminded by Moser’s presentation on wind power (Moser 2014). Moreover, the interdisciplinary nature of ecology aligns well with the inherently interdisciplinary perspectives of energy, so a synergy is natural. The social justice dimensions of energy education are engaging new approaches and audiences of the general public including environmental, faith and justice communities. A more comprehensive natural and physical science education that integrates energy and ecology literacies would allow for more informed decision-making when time-sensitive, particular energy choices and policy issues arise. We extend our most sincere appreciation to the speakers and workshop presenters from our sessions for their insights provided before, during, and after our sessions at the ESA conference. In particular, we thank Don Duggan-Haas, Sarah Brodbyl, and Qinqin Liu for more detailed input to our outline to this paper and to the manuscript itself. Brewer, C. and Smith, D. Vision and Change in Undergraduate Biology Education: A Call to Action. American Association for Advancement of Science. Washington, D.C. http://visionandchange.org/files/2013/11/aaas-VISchange-web1113.pdf (2011). Center for Sustainable Economy. Ecological Footprint Quiz. http://myfootprint.org/. (Viewed September 2014). Cool Climate Network. CoolClimate Carbon Footprint Calculator. http://coolclimate.berkeley.edu/USCALC. (Viewed September 2014). Corbin, J. What’s my footprint? Using online carbon footprint calculators to demonstrate students’ energy use and environmental impact. Ecological Society of America Annual Meeting. Abstract: http://eco.confex.com/eco/2014/webprogram/Paper47911.html (2014). DOE. Energy Literacy: Essential Principles and Fundamental Concepts for Energy Education. United States Department of Energy, Office of Energy Efficiency & Renewable Energy. http://energy.gov/eere/education/energy-literacy-essential-principles-and-fundamental-concepts-energy-education (2012). DOE. Energy 101 – Science, Technology, and Society. United States Department of Energy, Office of Energy Efficiency & Renewable Energy. http://www.eesi.org/files/Energy-101-Course-Framework-Summary.pdf (2013). Demeo, A.E., Feldman, D.P., and Peterson, M.L. A Human Ecological Approach to Energy Literacy through Hands-On Projects: An Essential Component of Effectively Addressing Climate Change. Journal of Sustainability Education v4 (2013). Duggan-Haas, D. The geography of energy: The interplay of place, ecology, and energy production and use. Ecological Society of America Annual Meeting. Abstract: http://eco.confex.com/eco/2014/webprogram/Paper45639.html (2014). Dwyer, C. Relationship Between Energy Literacy and Environmental Sustainability. Low Carbon Economy, (2011) 123-137. Educate to Innovate. The White House. Washington, D.C. Retrieved August 2014 from http://www.whitehouse.gov/issues/education/k-12/educate-innovate (2014). Fegan, D., Nalley, J.O., Roels, S.B., KBS GK-12 BioEnergy SusTainability (BEST) Project: Using schoolyard research plots to grow ecological and energy literacies. Ecological Society of America Annual Meeting. Abstract: http://eco.confex.com/eco/2014/webprogram/Paper45649.html. (2014). Groom, M. Imagining oil futures: Cultivating an integrative and interdisciplinary understanding of the impacts of our energy choices. Ecological Society of America Annual Meeting. Abstract: http://eco.confex.com/eco/2014/webprogram/Paper45296.html (2014). Howard Hughes Medical Institute. Science Education and Training. Chevy Chase, MD. Retrieved August 2014 from http://www.hhmi.org/programs/science-education-research-training (2014). Jablonski, LM and K Klemow. Analysis of the ecological dimensions in general public energy education programs of major justice, faith-based, indigenous and environmental organizations. Energizing a future role for ecologists. Ecological Society of America Annual Meeting. Abstract: http://eco.confex.com/eco/2014/webprogram/Paper45633.html (2014). Jackson, R. Communicating energy-relevant research in today’s polarized climate. Ecological Society of America Annual Meeting. Abstract: http://eco.confex.com/eco/2014/webprogram/Paper45353.html (2014). Jordan, R., Singer, F., Vaughan, J., and Berkowitz, A. What should every citizen know about ecology? Frontiers in Ecology and the Environment v7 (2009) 495–500. Klemow, K. M. Basic ecological literacy: a first cut. Ecological Society of America Education Section Newsletter v2 (1991) 4–5. Lindeman, R. The Trophic-Dynamic Aspect of Ecology. Ecology v23 (1940) 399-417. Liu, Q. Connecting dots between energy, water, food, ecosystems and climate change. Ecological Society of America Annual Meeting. Abstract: http://eco.confex.com/eco/2014/webprogram/Paper46698.html (2014). Lubchenko, J., Olson, A.M., Brubaker, L.B., et al. The Sustainable Biosphere Initiative: An ecological research agenda. Ecology v72 (1991) 371-412. McBride, B. B., Brewer, C.A., Berkowitz, A.R., and Borrie, W.T. 2013. Environmental literacy, ecological literacy, ecoliteracy: What do we mean and how did we get here? Ecosphere v4 n5 (2013) 67. Midden, C. 2014. Using gaming strategies to teach students about energy and biogeochemical issues. Ecological Society of America Annual Meeting. Abstract: http://eco.confex.com/eco/2014/webprogram/Paper45446.html. Moser, S. Cooler heads for hot debates: Improving public engagement on difficult energy choices. Social scientist perspectives. Ecological Society of America Annual Meeting. Abstract: http://eco.confex.com/eco/2014/webprogram/Paper45655.html. (2014). Odum, H.T. Trophic structure and productivity of Silver Springs, Florida. Ecological Monographs v25 (1957) 55-112. Odum, H.T. and Odum, E.P. The energetic basis for valuation of ecosystem services. Ecosystems v3 (2000) 21-23. Orr, D. W. Ecological literacy: education and transition to a postmodern world. SUNY Press, Albany, New York, USA. (1992). Powers, J. 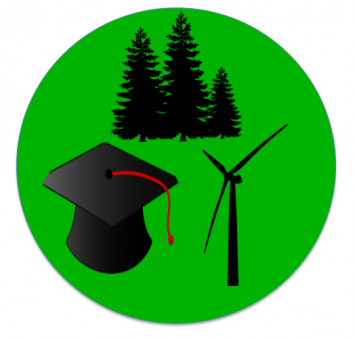 Building a lasting foundation in ecological literacy in undergraduate, non-majors courses. Nature Education Knowledge v:4 (2010) 53. Puttick, G., Bernstein, D., Kies, K. and Garibay, C. Learning and behavior change in a Girl Scout program focused on energy conservation: Saving energy to ‘save the planet.’ Journal for Sustainability Education, 45 (1) (2015). Risser, P. G. Ecological Literacy. Bulletin of the Ecological Society of America v67 (1986) 264–270. Sayre, N.F., Kelty, R., Simmons, M, et al. Invitation to Earth Stewardship. Frontiers in Ecology and the Environment. V11 (2013) 339. Sneideman, J. Energy literacy: Struggles and advances in energy and environmental education – perspectives from the Department of Energy. Ecological Society of America Annual Meeting. Abstract: http://eco.confex.com/eco/2014/webprogram/Paper45419.html (2014). STEM Education Coalition. Washington, D.C. Retrieved August 2014 from http://www.stemedcoalition.org/ (2014). Zografakis, N., Menegaki, A.N. and Tsagarakis, K.B. Effective education for energy efficiency. Energy Policy v36 (2008) 3226–3232.